New Review in Latin Paradise: "The Paradise Bird"
On track from May 2, 2019, Kamel Ouali is in charge of this new review! Humor, poetry, sensuality and emotion will be there to celebrate the 130th anniversary of the institution. Le Paradis Latin, the most Parisian of the great cabarets ! 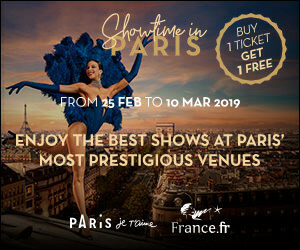 The Celebrated Parisian Cabaret on the left bank, veiled in pure tradition, a revue rich in color ! You will discover the extravagant and amusing world of a magical garden where joy and good humour reign! Let yourself be carried away by a explosive cocktail filled with surprise. A little... a lot... passionately... A La Folie ! - Junggler, contortionist, attractions that will take your breath away !